Hello, I am Taro. I have lived in Kyoto for 32 years. Ever since I was 22 years old, I've worked at a travel agency. This is why I can support your traveling in Kyoto as a professional. 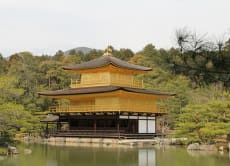 This city is very beautiful and has many historical temples and traditions such as the Kinkakuji, Ginkakuji, Kiyomizu , and Gion. You will like my city! Let's travel together!